To honor our forefathers who 100 years ago sacrificed so much to build the beautiful church we all cherish and enjoy today, one of the oldest Byzantine wooden churches in America, the Parish Council has decided to host a very special concert. 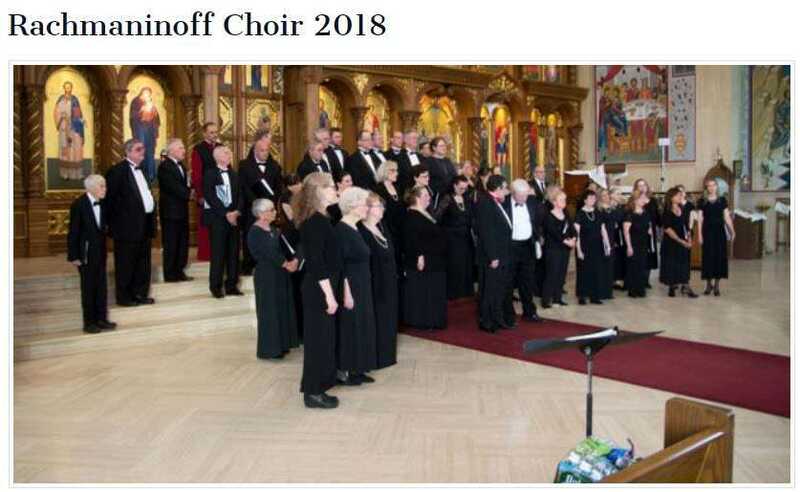 We are pleased to announce that the concert on Saturday evening May 19th 2018 will feature the Rachmaninoff Choir who will combine with another Orthodox choir from New Jersey to present a joint concert of 80 voices in our church. Prof. Alexei Shipovalnikov, formerly of Moscow State University in Russia, who now leads the Spirit of Orthodoxy Choir from New Jersey and assistant director of Spirit of Orthodoxy Choir Stratos Mandalakis, will join Dr. Anthony J. Antolini of the Rachmaninoff Choir. Together as a large group of 80 voices will sing an extremely varied music selection to include Greek, Bulgarian, Russian and American Orthodox composers, sung in various languages. Our parish is especially proud to present this event celebrating the 100th anniversary of our church building, especially after completing the beautiful renovations and making our church handicap accessible. It is the Parish Council intention that proceeds be used to make all our church properties open and accessible to everyone.